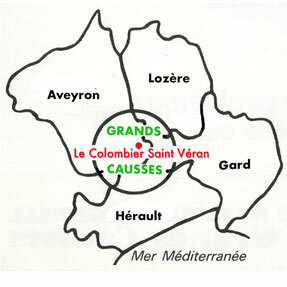 Le COLOMBIER SAINT VÉRAN - Site de lecolombier-sv ! 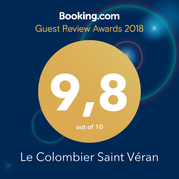 Le Colombier Saint Véran is located on the edge of the medieval hamlet of Saint Veran overlooking the Dourbie valley, in the heart of the Grands Causses Natural Park, near the Viaduct of Millau. 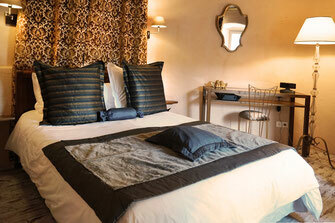 Recently renovated in harmony with its surroundings you will enjoy comfortable upscale and character. 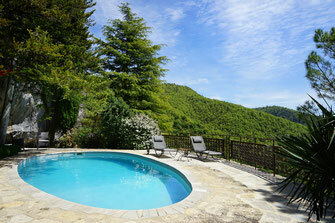 Oasis of relaxation you can relax beside the private pool, heated, hidden in its green setting. Thanks to its south facing orientation you will enjoy the warm sunlight. 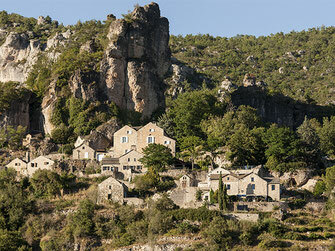 The Colombier Saint Véran offers a unique setting for lovers of rambles in search of well-being. You will love by the tranquility of the place where your eyes glaze over at infinity. Chantal & Michel live in the house next door. In love with this region and its heritage, they will give you some ideas of excursions. They warmly welcome you personally in this place where everything has been designed both inside and out to make you feel privileged. They are available as much or as little as you require. Guests comment on the high quality of the accommodation and its ideal location for exploring the natural beauty and the many and varied attractions the Aveyron has to offer. The cottage is centrally located to various tourist places: Gorges du Tarn, Millau Viaduct; Millau City of art and history, the capital of gloves; the cellars of Roquefort, king of cheeses; Larzac Templar and Hospitaller villages; Causse Noir and famous rocky chaos of Montpellier le Vieux; Causse Mejean and the great outdoors; the Tarn and Jonte gorges; the Cistercian Abbey of Sylvanès and Sacred Music Festival; the Lèvezou lakes.